the adventures of tartanscot™: "Happy Valentine's Day . . . "
"Happy Valentine's Day . . . "
Yes, I'm still kinda curled up in the bed here at the house - but, I couldn't let today pass by without sending you good wishes. And here's a little something for all of us hopeless romantics . . . Thank you for that wonderful finale to Cinema Paradiso. I remember this scene so well. 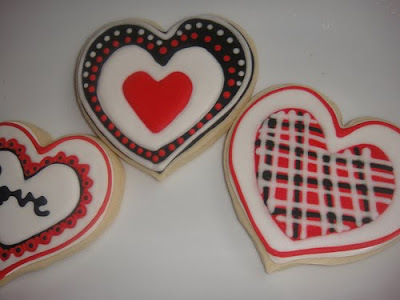 Cute tartan cookies too! Happy Valentine's Day! This was perfect and fun! Happy Heart Day to you!!! Hope you had a great Valentine's Day! I actually enjoyed it this year for a change! Apparently miracles can happen! XOXO! Hope you had a wonderful Valentines Day. great post. I would love to follow you on twitter. "Raising the Roof . . . "
"Home Plus Scotland . . . "
"Teal, and Turquoise, and Gold-Oh, My . . ."
"Julia and Julia . . . "
"Gotta get shopping . . . "
"Must. Get. Sleep . . . "
"Just pleased as punch . . . "
"It's In the Mix . . . "
"Meanwhile, Back in San Francisco . . . "
"Introducing . . . "